The 3,400-car parking garage just completed at Terminal C is part of Continental Airlines Global Gateway Program at the Newark International Airport. 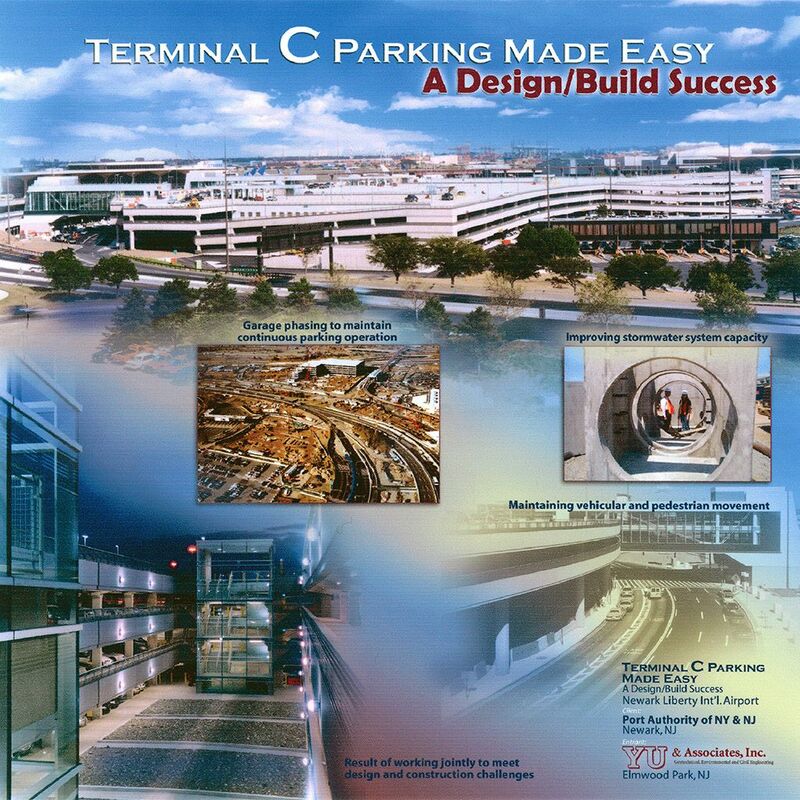 The parking structure is a four-level garage with controlled entrance and egress via separate helix ramps. The structure is constructed of precast “double-T” and columns with typical bays of 60 ft x 30 ft. Elevators, escalators, and stairs will serve to provide pedestrian movement. Two pedestrian bridges span over the new roadways and connect to the Terminal. YU & Associates, Inc. (YU) was retained to provide geotechnical and civil engineering services for this design-build project. In the role of the Project Geotechnical Engineer, YU evaluated the subsurface conditions and determined the most appropriate foundation system. The project site is underlain by miscellaneous fill over organic soils, silt and clay, glacial sand and gravel, and shale bedrock. High capacity piles were evaluated considering down drag, lateral and uplift loads, pile drivability, and static and dynamic pile load testing. Liquefaction analysis was performed to assess the potential impacts on the foundations and floor slab during an earthquake.